ATLAS Space Operations made successful contact with the first ever DoD satellite mission to use a commercial cloud-based satellite communications and control network. The satellite was launched from Vandenberg Air Force Base, California, as part of the SSO-A SmallSat Express mission commissioned by Spaceflight Industries using a SpaceX Falcon 9 rocket. Included in the launch was the U.S. Air Force Academy’s FalconSat-6. Ground-to-space communications for the FalconSat-6 are fully managed by the Freedom™ Platform and Freedom™ Ground Network, ATLAS Space Operations’ proprietary software and antenna network, which combine to provide the space industry with the most cost-efficient solutions, all through the Amazon Web Services (AWS) Cloud. 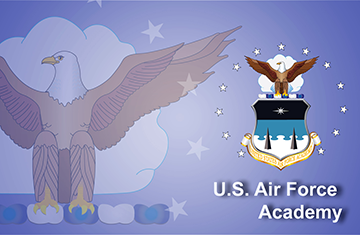 The FalconSat-6 will serve the U.S. Air Force Academy’s Department of Astronautics, as a key component of the Academy’s capstone course for systems engineering. The spacecraft’s mission is to provide hands-on experiential learning for spacecraft engineering and operations, as well as maturing Cadets’ understanding of applications of solar, propulsion, and communication technologies. Entirely designed, built, and tested by Cadets at the U.S. Air Force Academy, the FalconSat-6–capable of meeting the real-world requirements for Department of Defense (DoD) missions and payloads. 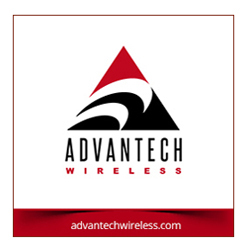 Operational since 2015, the Freedom™ Ground Network is a series of ground-stations, strategically placed around the globe, that provide ground-to-space connectivity through S-Band, X-Band, and UHF communications. The Freedom™ Ground Network is connected seamlessly through the cloud, via the Freedom™ Platform, which exploits the AWS Cloud to provide scalable solutions with capabilities that meet or exceed DoD’s standards for military-grade security. 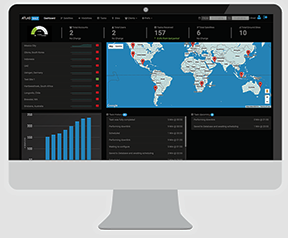 The Freedom™ Platform — ATLAS’ proprietary technology — is an advanced satellite interface software for a truly “set and forget” user interface with TT&C (Telemetry, Tracking, and Command) and scheduling. 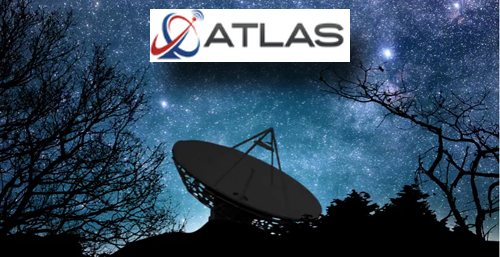 ATLAS is actively and rapidly expanding its Freedom™ Ground Network and is currently developing new ground-stations in Tahiti, Finland, Guam, and in Hokkaido, Japan. By the end of 2020, ATLAS will employ more than 30, cloud integrated, locations to service the growing demand for ground-to-space communications of spacecraft from LEO to GEO, launch support operations, and deep space missions. 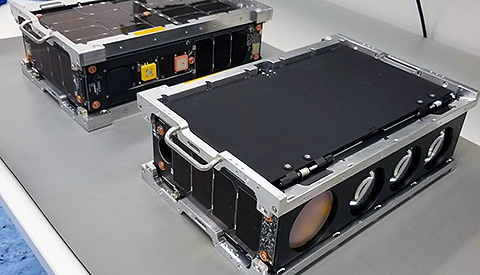 Another spacecraft aboard the SSO-A SmallSat express to employ the Freedom™ Platform and the Freedom™ Ground Network is Helios Wire’s SIRION-2, the first of a 28 satellite constellation that will be launched in separate missions over the next five years. SIRION-2 will provide Machine-to-Machine (M2M) connectivity for a worldwide Internet of Things (IoT) whose applications include monitoring and controlling of fixed and mobile assets in industries like transportation, consumer, logistics, security/public safety, energy, mining, industrial/construction, agriculture, and animal management. With both the U.S. Air Force Academy’s FalconSat-6 and Helios Wire’s SIRION-2 aboard the Spaceflight SSO-A SmallSat Express, yesterday’s SpaceX Falcon 9 launch is the first to include multiple clients for ATLAS Space Operations.